Are you looking to load up your e-reader or tablet with some new books to boost your business or career? 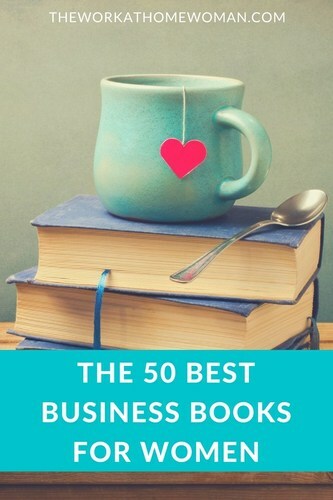 We put out the call to find the best business books on the market for women entrepreneurs and business owners. Topics range from finding your niche and marketing your business to self-development, motivational training and more. Wherever you're at in your career or business — there's a good business book for you! I've been a student of self-development for over fifteen years and have read many awesome books, but this is one of my favorites. Suggested by Sue Seward – Home Business Developer. Mommy Millionaire has been called by Publisher's Weekly in a Starred Review: “A top-notch, how-to guide on launching a business”. Suggested by Kim Lavine – Author. A great time management/ inspiration/ productivity read for time-crunched women and mom's. A bonus is that it covers both business and personal. Suggested by Caroline Ceniza-Levine – Six Figure Start. This book is a goldmine for those looking to start and maintain their own business, and I first read it when I went full-time freelance. I read it again when I decided to launch a career coaching practice. I’ve folded so many pages in this book, but found especially helpful the sections on figuring up start-up costs, drawing up a budget, making your company legit, and the various ways to market yourself and show your customers that you appreciate them: all stuff I knew nothing about as a writer, written in an engaging and easy-to-understand style. Suggested by Steph Auteri. Be Our Guest (or “BOG” as we affectionately call it) communicates the power of operational excellence. The BOG helps convey the need for everyone to work collaboratively and to develop common service standards to achieve the greatest results, which then also ensures public support. Suggested by Annie Norman – Librarian. I have used this book professionally myself after having my first child and feel that it should be a staple in every mommy group across the country! At 62 pages long, every word counts. For moms that are still weighing your options, this book will help them decide if indeed it is time to go back to work. If it is, Ms. Lang gives several options that most women might not have considered that have worked for some of the women who she interviewed. She covers the resume, the interview, and that transition period from home to work that is full of mixed emotions. It's like receiving advice from a wise and gentle friend. Suggested by Dori-Anne Newton – MTL Communications. For most women, the most important elements of our lives are the relationships we build and nurture with our family and friends. Jerry explains how we can use those same relationship-building skills to build meaningful relationships with our customers and colleagues that will help our business to flourish. Suggested by Cyndy Kryder – The Accidental Medical Writer. After reading a brief introduction about the importance of working to your talents and managing your weaknesses, the cornerstone of this book is an online survey that you complete. As a self-help fanatic, I have taken many on-line surveys, but I was thrilled with the unique results that it provided for making sure I am working in my “zone”. Rath contends that we are born with innate talents and that by multiplying these talents through an investment of time for practice and increased knowledge in that particular area, you can develop a strength, which he defines as “the ability to consistently provide near-perfect performance”. Suggested by Carrie Benuska – Realtor with Coldwell Banker Pasadena. No Ceiling, No Walls takes a fresh, unblinking look at leadership. It identifies the vital missing piece of the leadership equation, describing the “why” as well as the “what” with specific, actionable information. Suggested by Jennifer Toone Corrigan – In Toone Communication. It is a quick read, has lots of practical advice and is inspirational at the same time. Her perspective on marketing and finding your niche is fabulous – and she does a great job and laying an outline on how to take an initial concept and build on it. Martha does a great job describing just how to see both the big business picture as well as the details. I think she is a brilliant business person. Suggested by Jean Johnson – All Moms Go To Heaven. They're great for women because they are practical, written in laymen terms, and offer step-by-step instructions for how to become self-employed or launch a small business out of the home. There are worksheets for immediately applying what you learn and women also have the option of doing these exercises online while working with a volunteer business mentor of their choice at no-cost through SCORE, MicroMentor, or the Small Business Development Center. Suggested by Deborah A. Osgood – CKO Knowledge Institute. I wrote the book with women in mind, that so often women sell themselves short, or are afraid of patting themselves on the back. This book provides the tools to overcome fear, objections, and obstacles, and points women in the right direction to sell what it is that everyone buys: YOU. I've attached some reviews, along with the cover of the book. Thank you in advance for your kind consideration. Suggested by Christine Clifford – Christine Clifford Enterprises. Whether you’re a recent college grad or smacking your head against this glass ceiling, the book offers great, applicable advice with a snarky sense of humor — can’t recommend it enough! I especially love Kelly’s advice on not baking for the office (don’t let yourself be branded as the “office mom,” because like it or not, that label will stick, and the office mom is never promoted to CEO). There’s a big difference between being feminine and being motherly–especially at work. Suggested by Aleigh Acerni – Writer, Author & Editor. It’s an empowering how-to book that teaches them that they have valuable knowledge they can monetize and share if they would only learn to tap into it. Whether that knowledge is acquired from a profession, a hobby or just life experience, “everyone knows something that's worth something to others.” It's especially in tune with today's economic realities as I empower employees to be less vulnerable to the workplace, and laid-off employees to regain their financial futures by having a “Plan B” using the unique expertise within them. Suggested by Melanie Jordan – Author. It has simple and practical ways to organize, to think positively, to cause change in habits (like quitting smoking, or changing compulsive eating), to improve relationships, and more, with visualization. Suggested by Laurel Clark – Author. She collected extensive interviews with Presidents and early execs of major companies like PayPal, Research in Motion, TiVo, Yahoo, Hotmail and Man more. The interviews are barely edited–just a few questions and the interviewee takes over. Story after story inspired me to see what depths people will go to when they truly believe in what they're doing. Nothing stops them–not disbelieving friends, a severe lack of money, enormous challenges that would cripple the average person, etc. Suggested by Julie Pech – The Chocolate Therapist. Men and women DO think differently, and at work you can leverage your brain chemistry to achieve business results in surprising ways. The Female Brain is a terrific read, too — witty and fun, as it explains how hormones and brain chemistry frame why we think the way we do. Suggested by Joanne Cleaver – Wilson-Taylor Associates, Inc. This book covers the details around starting a blog and making money with it. Everything from how and where to start a blog or website, to online marketing tactics and expected results are laid out in enough detail to get folks started, but not too much detail to swamp them. The book was written targeting an audience of people who have a desire for the topic, and designed to fill in the knowledge gaps that stand in their way. Suggested by Duane Forrester – Author. A terrific book because it's tailored specifically for women, and addresses specific issues women have in negotiating. The authors also pull in wisdom from really great books on negotiation in general, like Ury and Fisher's terrific book, “Getting to Yes,” and explain the information they're quoting as it relates to the approach and emotions a woman's likely to have. I recommend this book a lot to women who write me, and they always thank me and tell me it's been a big help. Suggested by Amy Alkon – The Advice Goddess. Wife, mother and successful business woman – shares her own experiences from her 30-year business career in the healthcare and communications industries. She advises women on how to increase their confidence, create a life plan, achieve self-awareness, maintain ethical and spiritual well-being, foster personal and professional relationships, and define and achieve their own success in life. Suggested by Tara Blazona. This book speaks to the hearts of moms in business. My book outlines 8 steps I've used to create both my own business brands (Real Living Real Estate, one of the fastest growing in the U.S. and globally) as well as help others create their own business brands while helping women articulate their unique and powerful personal brands. The key for moms isn't having it all – it's having what you want. And realizing, as I say in my book, balance is internal, and yours to define. Suggested by Kaira Rouda – Author. The book takes the skills you learn as a good parent and applies them to the office. Sports and war have long been common metaphors for business teachings. I wanted to frame business training in a way that resonates more strongly with women. My book compares business to the family framework. I interviewed 60 women. The jacket has a review from a Pulitzer Prize winner, a producer of the show “24” and the former board chair of the largest co-op grocery store chain in the country. Suggested by Shari Storm – Author. This book has really struck a chord with moms that want to start a business or launch a product idea from home. Suggested by Sandy Abrams – Author. I read it about 10 or so years ago and loved its practical, inspiring advice for women on how to identify what we want and what we need to do to get it. It’s all about not apologizing for wanting success and money and status; instead, White encourages us to embrace our ambitions. As a twenty something at the time, that really resonated with me, and although I haven’t read the book in a few years, I still use the advice I learned from it! Suggested by Marjorie R. Asturias – Blue Volcano Media. Birute interviewed 60 accomplished women in many walks of life, and from eight countries, to discover the secret of their success. She discovered a new form of leadership that is emerging, but largely unrecognized: Women who do not bury the feminine skills of collaboration and nurturing, but instead embrace them in combination with the more traditional characteristics of leadership, such as determination and vision. “Iron Butterflies,” as she calls these women, have the will of iron and the nurturing touch of a butterfly. In this beautifully written book, Regine redefines the meaning of power, and what it is to be a strong woman. Suggested by Roger Lewin – Harvest Associates. This book is vitally important because it honors and validates women's differences, explains why we're not “men in skirts” and should stop forcing ourselves to be, and finally, offers women new thinking and strategies to reclaim the direction of their careers and lives for greater passion, power, and purpose. Suggested by Kathy Caprino – Author. Covers how to have the courage to start a business from scratch and make millions of dollars – just like she did. Suggested by Ronda Cantor – Go To Meredith. I think women more than men, have a tough time “boasting” about their successes. This book shows how to do that with authenticity. Suggested by Kelley Briggs – DesignWorks NY, LLC. I found this book by accident at exactly the right time. This book is like a truly successful girlfriend telling you how to make it on your own and still be a M-O-M. Balch was a single, unemployed mother who needed to do something and she did! In her book, she shows you how she grew such a successful business. She gives real world advice of how she got her name out and shows the financial differences it made in her company. This is a small, local-type book, but the difference it has made in my marketing plan is unbelievable! Suggested by Stephanie Schwartz – Roadrunner Traffic School. In a conversational tone I address tax issues for small business from what you can or cannot deduct to self-employment tax (the big hit that can put even low income entrepreneurs into a 50% tax bracket) to home office, to IRS problem resolution including the formula the IRS uses to determine an acceptable offer in compromise on delinquent tax liabilities (pay pennies on the dollar!). Suggested by Bonnie Lee – Author. Unlike the many “change-your-life” books that promise much and deliver little—Undress4Success provides expert, practical advice about: 1) what home-based jobs are available, what talents they require, what they pay, who’s hiring, and how to land one; 2) how to use the Web to search for work-at-home jobs and business opportunities without being scammed; 3) how to turn professional talents into a freelance business; and 4) how to convince an employer to adopt a telecommuting program. Suggested by Kate Lister – Author. His book taught me that I have to work ON my business and not IN my business. This has helped me enormously in creating systems that help my company run without me having to be there to babysit it all the time. I think too many female entrepreneurs/business owners don’t think big enough and this book helps remedy that. Suggested by Bettina Hein – Pixability, Inc.
What makes this book different and ideal for women is that it's not written by a big city marketing guru. It's written by a small town business owner and home based business entrepreneur. The book is a 10 point, step-by-step, low cost marketing plan for a small business in a small town or small market in a larger community. It includes a section on home based businesses along with 101 tips on how to market and advertise your business with little or no cost. Suggested by Tom C Egelhoff – Author. A comprehensive, easy-to-digest guide for anyone contemplating the work-for-yourself life. Suggested by Mary Mihaly – Author. This book inspires women of all genres to step up and make simple changes to their money habits that will multiply their chances of becoming wealthy. What I like especially is that she names ‘creating a business' as one of the fastest ways and describes what business is easiest to start… right now! This book is the one that actually spurred me on to quit my 6-figure corporate position and start my first business years ago. Suggested by Sandra Baptist – International Association of Women Accountants in Business. While taxes are not different for women than they are for men, many women seem to have math or numbers anxiety that makes them feel they can't deal well with their money. As a long-time tax professional, I've seen this among my clients over the years. Minding Her Own Business makes no assumptions or judgments about the reader's understanding of taxes. The book is designed specifically for one-person businesses and many examples are given of the concepts being discussed. It doesn't talk down to the readers, nor is it the giant size of many tax manuals. Minding Her Own Business succeeds in making clear the tax information needed by new small business owners. Suggested by Jan Zobel – Author. Both these books have information and stories to help women with the next level of their lives. I enjoyed reading both books; I wish I had Down to Business before I started my business. Reading some of the stories regarding success and failures helped me to stay focus on my business. Suggested by Eula M. Young – Griot's Roll Film Production. The authors had interviewed 20+ small women-owned businesses. The title comes from the 22 months gestation period for elephants – the same for launching a business. While reading this book, I saw a blueprint emerge that all small businesses undergo. The ups and downs – the learning curve – the financing and learning to turn a profit. It was an eye opener to see how all of the businesses, from large to small underwent the same roller coaster ride. These two authors truly nailed the launch adventure. I highly recommend this book and think it would be a wonderful text for MBA students. Suggested by Ronnie Fliss – Fat Murray's Doggy Treats. 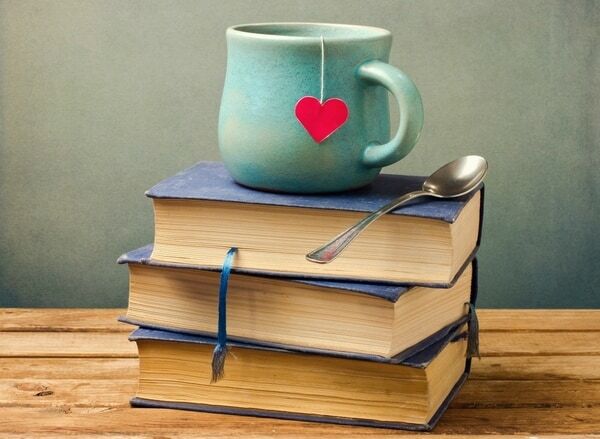 Do you have a recommendation for a great business book that is geared for women? Drop us a note below, we'd love to hear from you! Great list. Please add Rise to the Top – about how woman can earn more money! I am a seasoned compensation consultant who has worked with all sorts of companies and I worked with some very highly successful (and highly compensated) women. I share how and why women can – and are – successful financially. It has all the info women need to learn how to play the game – and play it well. Published in 2014, it is rated 5 out of 5 stars by a Hall of Fame Amazon reviewer. Thanks for the recommendation, Stacey! I just found your site today and I must say that I am happy that I found it, but sad that I didn’t find it sooner! What an amazing list! It looks like I have a lot of reading to do and I will be recommending this list to others. I am thrilled that my book, *The 250 Questions Every Self-Employed Person Should Ask,* was included on your list–and I see a number of others I want to read! Many thanks. Thanks Duane for all of your support! Thank you for including my contribution. Love your site. Looking forward to reading more. What a great list, and a great site!! Thank you for putting this together. Holly, you’re the bomb! Thanks for including me on the list. Let me know if you’d like a review copy. Thanks so much! Honored my book is on your list! You’re welcome Kathy! It looks like a great read! Love Corporate Mom Dropouts and Lucinda rocks too! Thanks for stopping by Heather!